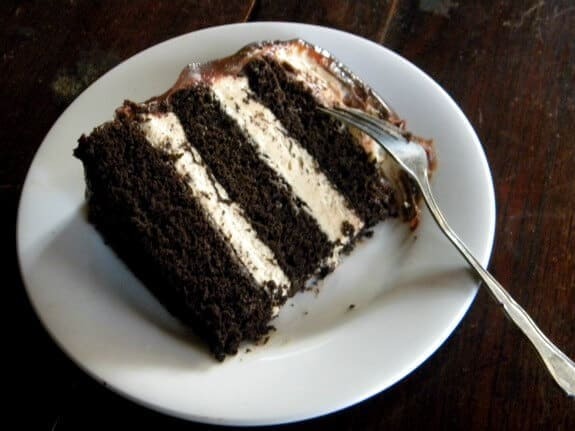 One bite of this spiced devil’s food cake you’ll understand why this recipe was a Depression era favorite. Moist and fudgy with just a whisper of autumn spices, the clean chocolate flavor intensifies with each bite. Frost it with any frosting you like. 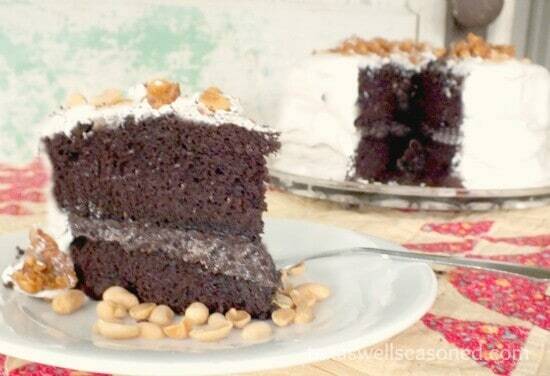 If you’re in a hurry just click here to go to the Spiced Devil’s Food Cake recipe . The old book with the faded green cover was almost invisible on the shelf. It had been pushed back by newer, fancier cookbooks with bright covers and modern ingredients. I don’t know how long it had been there when I found it and pulled it into the light of the cluttered shop. Dust floated around me as I opened it and checked the copyright. I remember sitting down on the floor and paging through it, reading recipe after recipe. 974 torn, worn, and stained pages of recipes. It held things like stewed squirrel with dumplings and scalloped stuffed eggs. Liver sausage hors d’oeuvres and creamed egg and asparagus sandwiches. There was no doubt in my mind that it was coming home with me to live on one of my 5 cookbook shelves, in the light, to be used often. My mom was a teenager in the Depression, having been born in 1918. She said that people added spices, molasses, and other dark ingredients to give the chocolate cake a darker color and more flavor. Chocolate and cocoa were in short supply during the Depression and World War II. Devil’s Food cake was an economy cake because it only required 2 eggs and was usually made with shortening instead of butter. It was a great way to get rid of sour milk, too. I’ve changed it a bit to adapt it to today’s ingredients (even our flour is a bit different than back then) and tastes. 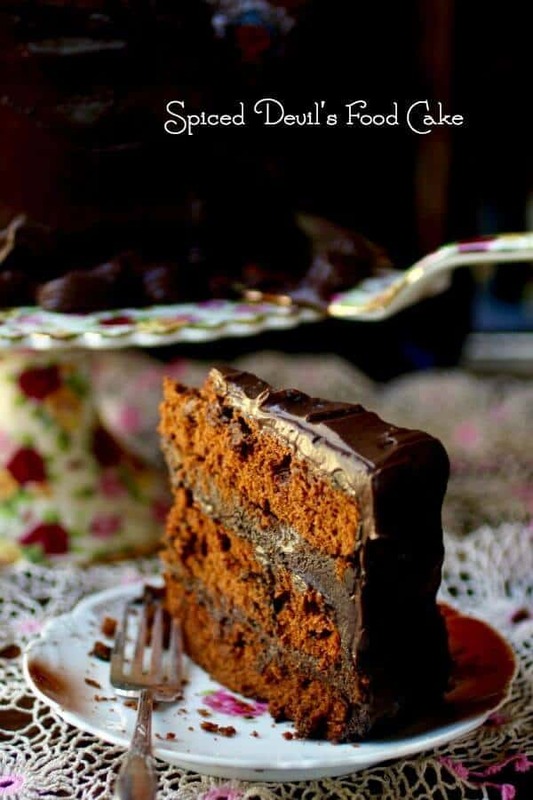 In it’s original form the cake tastes a bit like strong spice cake with a delicate chocolate flavor. I’ve pumped it up with more chocolate, butter instead of shortening, extra egg, extra oil, and a few more spices than the original called for. It was quite dry the first time I made it… at least to modern tastes. It’s amazing how much our tastes have changed in the last 100 years. I don’t just mean our taste for foods and flavors, either. The things we enjoy, the things we take for granted, the things that we categorize as work – all of these have changed. It was really brought home to me today when I took my phone in to be fixed. You see, I haven’t been able to do Facebook live or get information from SIRI because apparently one of my microphones had burned out. I made an appointment at the Apple Store in North Park and today was the day. The timing was the worst ever. I really prefer not to do anything Thanksgiving week because it’s just so busy anyway but somehow I scheduled 4 out of the house activities this week. Y’all – we may be having store bought pies for Thanksgiving. Anyway, they assured me the phone was an easy fix for a mere $160.00 and 2 1/2 hours. They waved me out the door cheerfully and suggested I shop. Of course, I wasn’t in the mood for shopping. I am just that ornery – I could be craving a pair of new shoes for days but if someone TELLS me to shop then I can’t do it. So I went and sat at the coffee shop with a pumpkin latte and people watched. It felt odd to not have my phone. I couldn’t update Facebook or share any of the funny things I saw. I couldn’t read the book I’ve been reading and I couldn’t play my Sims Build It game. Since I don’t wear a watch I couldn’t even tell what time it was. I noticed that nearly everyone was staring at a phone. Here was a mall full of people and 90% of them were hooked into their phones. I was no better because I felt like I was missing an arm or a leg. 10 years ago I didn’t have a cell phone. I went to the mall and shopped without Instagram or Facebook live. Now I can’t even take my daughter to a sleepover without using the Maps Ap. I had a lot of time to think on the way home. Central Expressway was bumper to bumper and I swear I didn’t go over 60 mph. Most of the time I probably averaged 40. That’s changed, too. I used to be able to drive Central without being part of a slowly moving mass of cars. Although I have a lot of nostalgia for the way things were I can’t say that it’s bad that our tastes change over the years. We grow and change as individuals and as a society. We leave both positive things and negative things behind us and move forward into different positive and negative things. For example, I miss the days of 3 television channels and the ability to go for hours without wondering if I’d heard back from a client yet. Now I am compelled to check my phone often. The flip side of that is this. I couldn’t have the career I have with out the convenience of a computer. Positives and negatives, y’all. My issues happen when I focus on the negatives rather than the positives. It just seems so much easier to complain about the things I don’t like than to give gratitude for the things I do like. SO … cake. 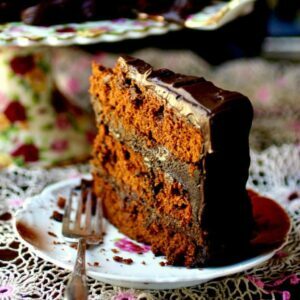 Spiced Devil’s Food Cake. Your house will smell amazing for hours. The aroma of this devil’s food cake hangs close like bees around a coke can in September. It just permeates everything and won’t go away. Which is fine – you’ll save some burn time on those candles you have sitting around. 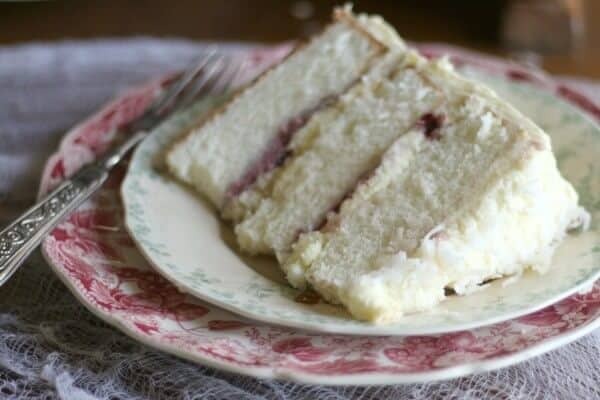 It’s imperative that you use cake flour in this recipe. Here’s that gorgeous Spiced Devil’s Food Cake recipe. Enjoy! 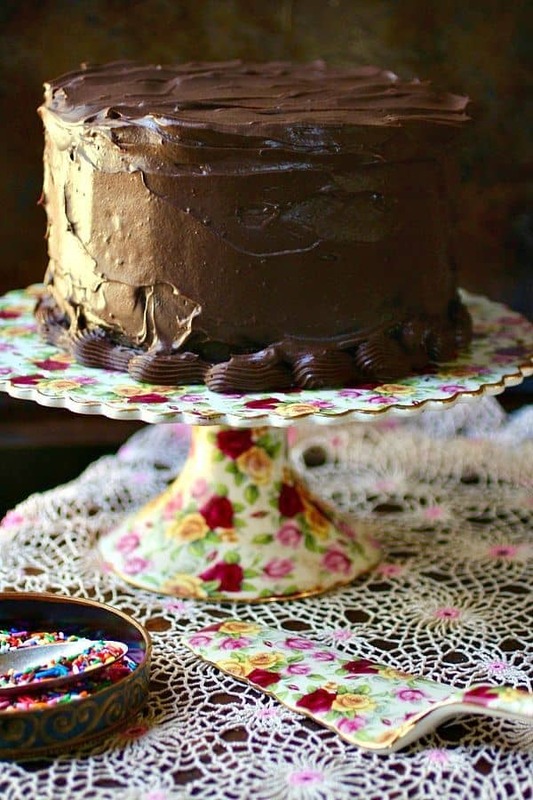 Depression era recipe for classic Devil's Food cake with a touch of autumn spice. Cinnamon, cloves, and nutmeg give this gorgeous 3 layer cake an added punch. Fill and frost with any frosting you like. Grease and dust 3 high sided 8-inch pans with cocoa. Regular 9-inch pans can also be used. Stir flour, spices, soda, and salt together. Cream the butter, oilbrown sugar, and vanilla until fluffy. Beat in the melted chocolate, beating for 2 minutes until well blended. Add the flour in 3 parts, alternating with the buttermilk and beginning and ending with the flour. Beat well on lowest speed after each addition. Finally, with the mixer running on low, slowly pour in the boiling water. Blend well and spoon into pans - 2 cups in each pan. Bake for 30 to 35 minutes, or until a toothpick inserted in the center comes out clean. Check after 25 minutes the first time you bake this cake. OH, MY! This cake is a sight! So pretty, and that fudge factor! Love this! 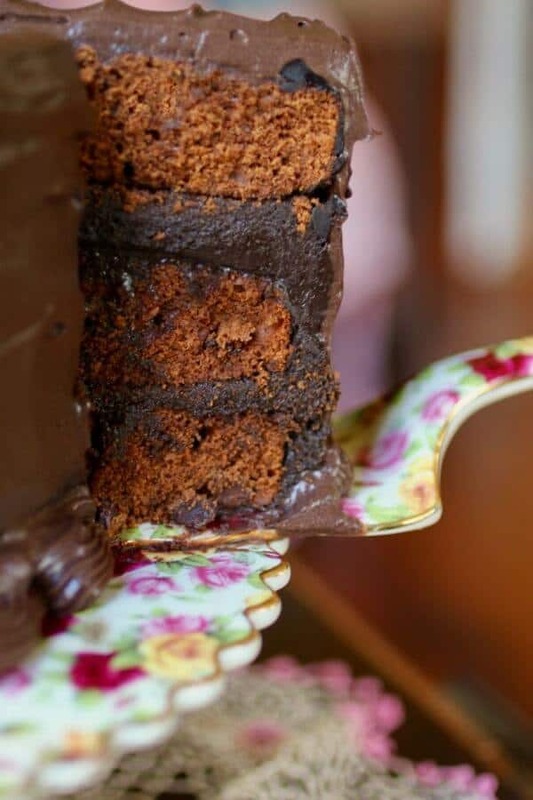 love the deep dark color of this cake marye! the flavors sound fab!